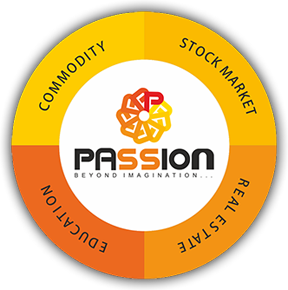 The Passion Group by virtue of its ingenuity and adeptness, being instilled by the founder members, have marked its presence in the financial service industry. Operating in an industry where in the main source of capital comes from customers’ money, the Group has been pivotal in winning customers’ heart and trust and in the process, has become one of the most successful and aspiring players in the trading sector. Why Passion would be best company for you to start with? Access to the best in class statistical and functional hypothesis, engraved from years of extensive research. Research departments equipped with the best talent of the country, with industry experience of more than 20 years. In depth analysis of the trends and seasonality of stocks and other financial assets in terms of daily, monthly and yearly forecasts. Enlightening and thought provoking reports being available to users, both online as well as via email. Intra-day and positional calls available on a periodic basis for direct customers, as well as business partners. Ease of approachability to technical and functional experts to obtain personalized guidance on investment options. Assignment of dedicated Business Development manager to support your business needs and desires, and recommend valuable business solutions to your problems. Extensive and market relevant marketing and promotional consultancy of store in addition to collaterals like brochures, templates, and offering profitable promotional mediums like sms, emails etc. Competitive brokerage fees ensuring high return on investment, in addition to elite services like high limits, same day payouts, and a seamless & lean procedure for account opening for clients. High priority given to the risk section by instating dedicated Risk Management departments equipped with hand-picked professionals and sophisticated software, which cater to the needs of all customer. State of art technology employed to gauge the trends in stock movements, identify possible shocks, hot assets and many more factors pivotal to the pricing movements of the particular asset. Easy to use and convenient trading platform, providing users the option to choose between different trading platforms with multiple segments on each. Free of cost availability of sophisticated tools and insights on stock pricing movements in the form of charts, instant order executions, single code as well as multi-code workings. Robust and reliable support services like remote assistance, installation, updation in technical equipments in the form of regular visit checks as well as remote services. Separate IT support department staffed with experienced technicians providing 24 * 7 IT support for customers’ and business partners. Internet enabled back office services with a plethora of advanced tools to make work easier for consumers. Automated systems to track the performance of dealers and portfolios for business partners. Regular maintenance of reports including regular turnover & brokerage sharing reports. Regular confirmation of margin and balance utilization details over mobile, and on-time communication of E-Contract notes via email. Dedicated customer care hot line available from 8 in the morning till midnight on all week days. Technically educated and trained customer support staff eager to listen to customer concerns and recommend reliable solutions for the same. 24 * 7 availability of the portfolio manager, ensuring no idle time. Department-wise allocation of resources to ensure optimal load balancing, such that no customer is left dissatisfied. 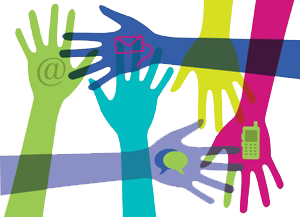 Support extended via variety of delivery mechanism including phone, email, Skype, sms and many more. High ethics and values ingrained in the entire system by virtue of the founding members. Ensuring customer satisfaction and winning their trust is the ultimate motto by providing an enriching trading experience to each one of them. 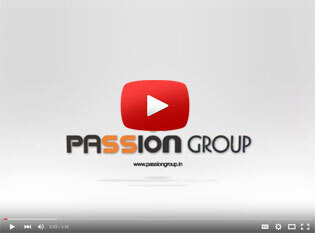 Viral presence and reputation of the Passion group across the length and breadth of the nation.